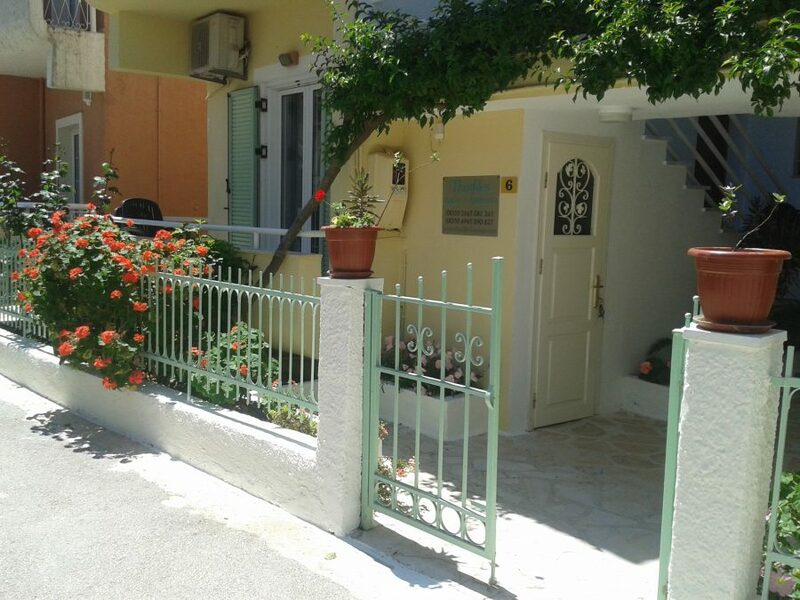 This is the superb location of Theofilos House and the only guaranteed luxury we are in the position of offering you. 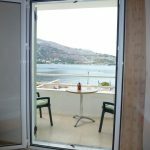 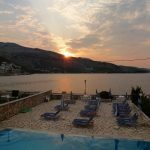 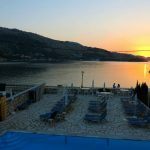 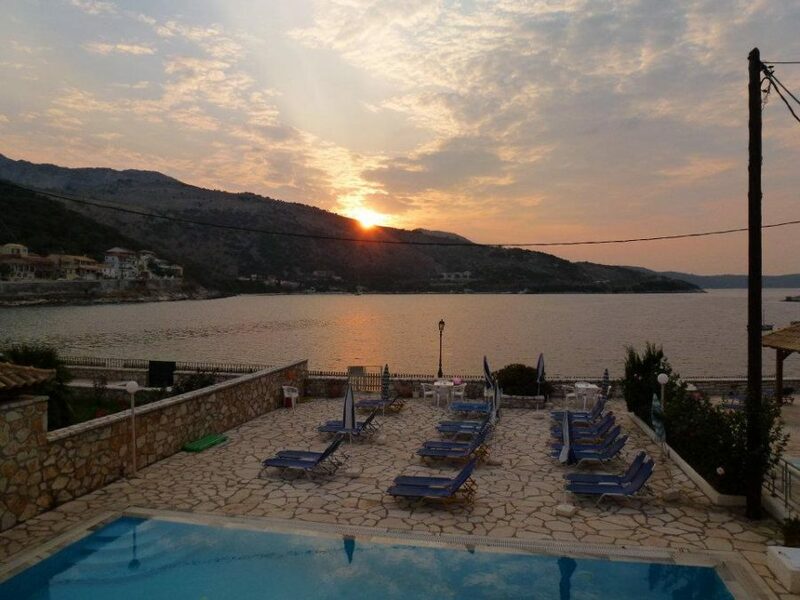 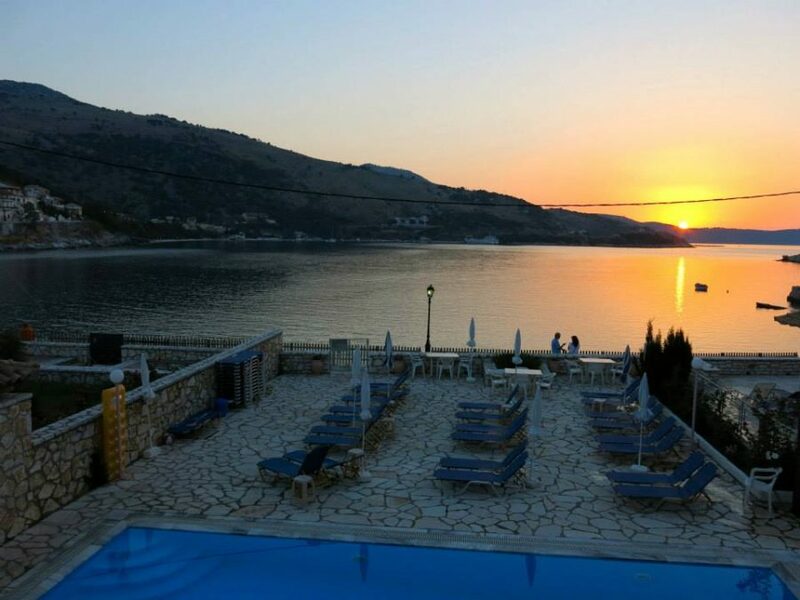 Situated at the bottom of a little side road parallel to the beach, Theofilos House offers a magnificent view over the main bay of Kassiopi. 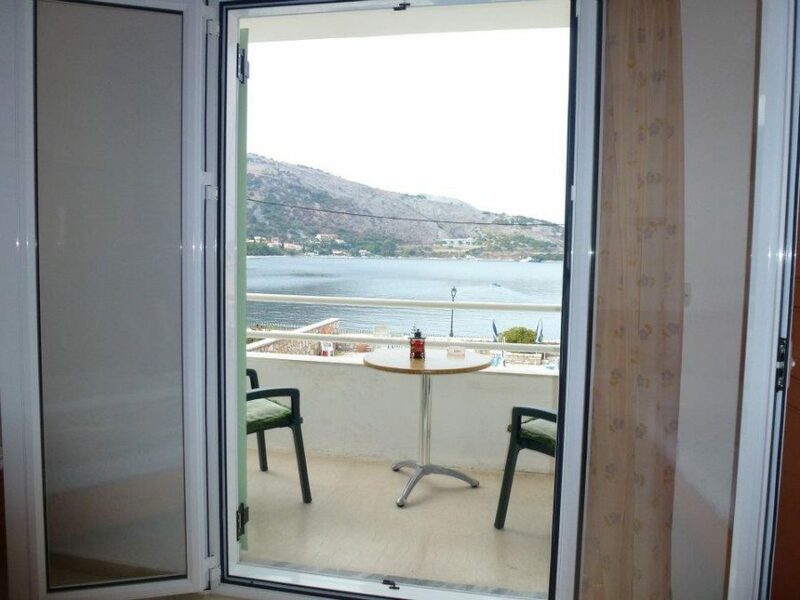 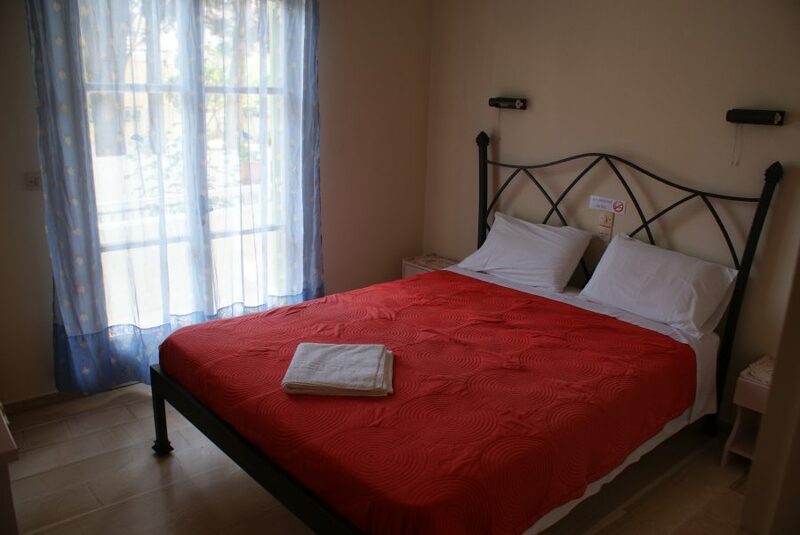 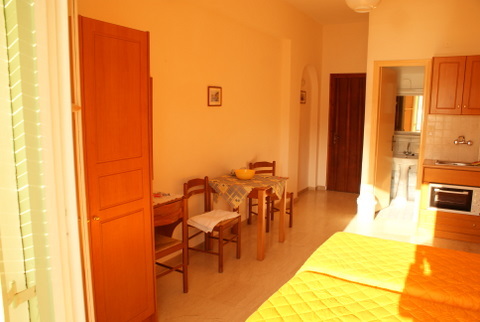 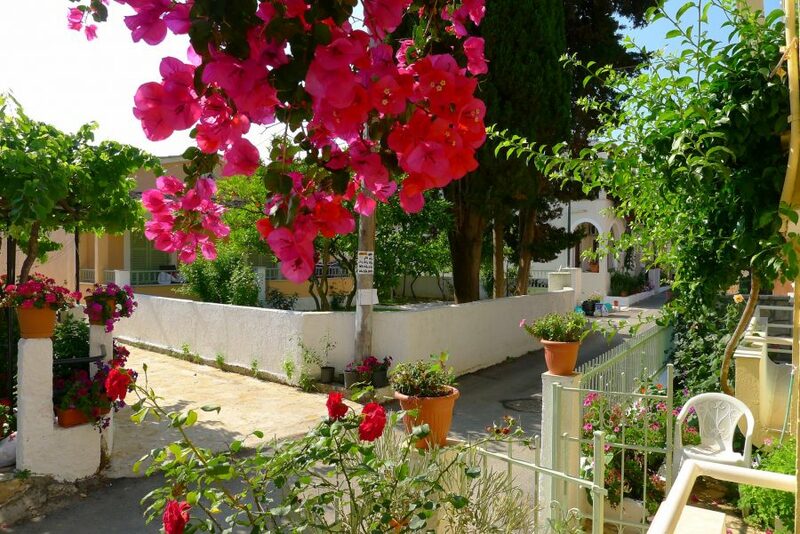 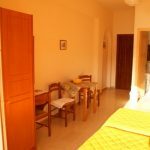 All rooms of Theofilos House are simply furnished and decorated but very well cleaned and maintained. 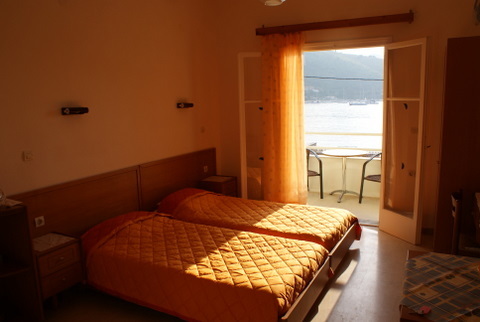 Also all rooms offer some stunning sea, pool and sunset views and are sea front and pool front. 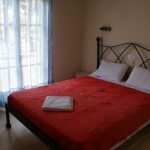 Maximum occupancy per studio-apartment at Theofilos guest house: 2 guests for the studios and 1-bedroom apts and 3 guests for the 2-bedroom apts (children and infants included). 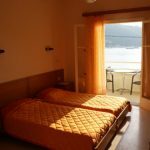 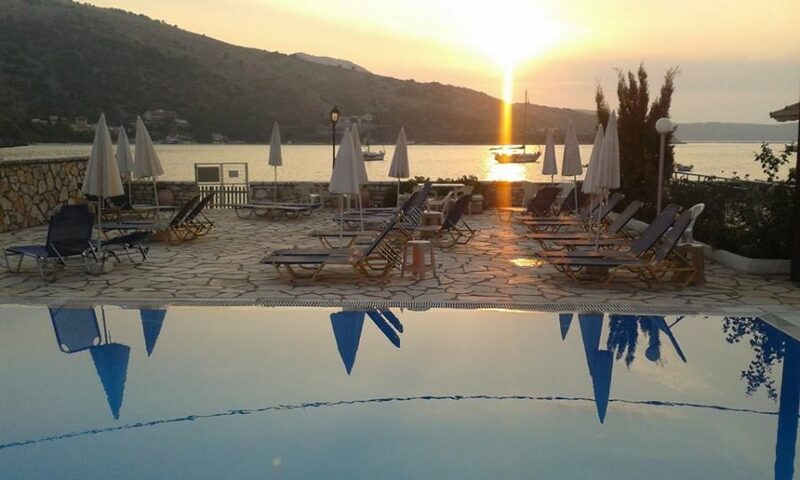 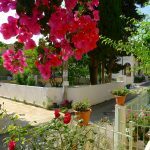 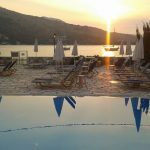 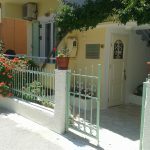 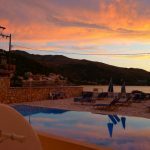 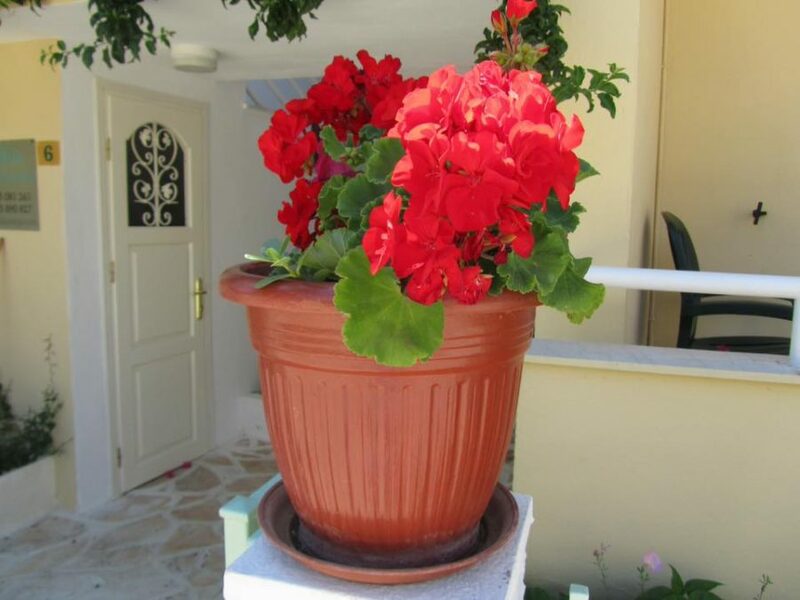 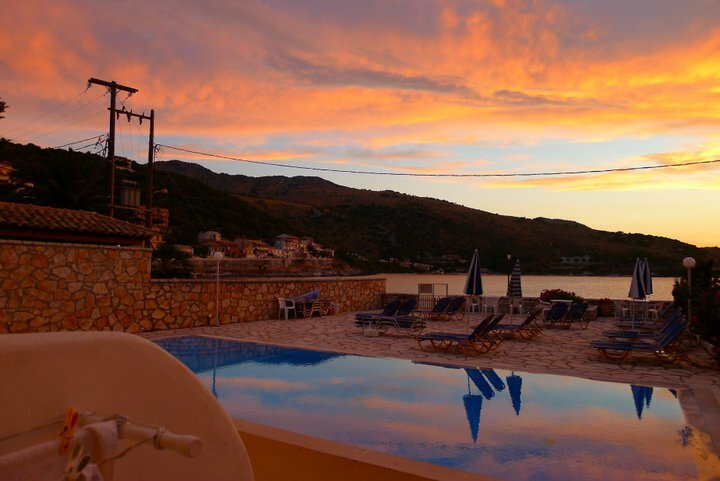 Theofilos House’s guests are mainly middle aged couples who look for a peaceful and relaxing accommodation by the sea that is also close enough to anything they will may need. 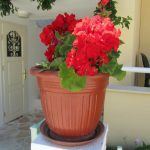 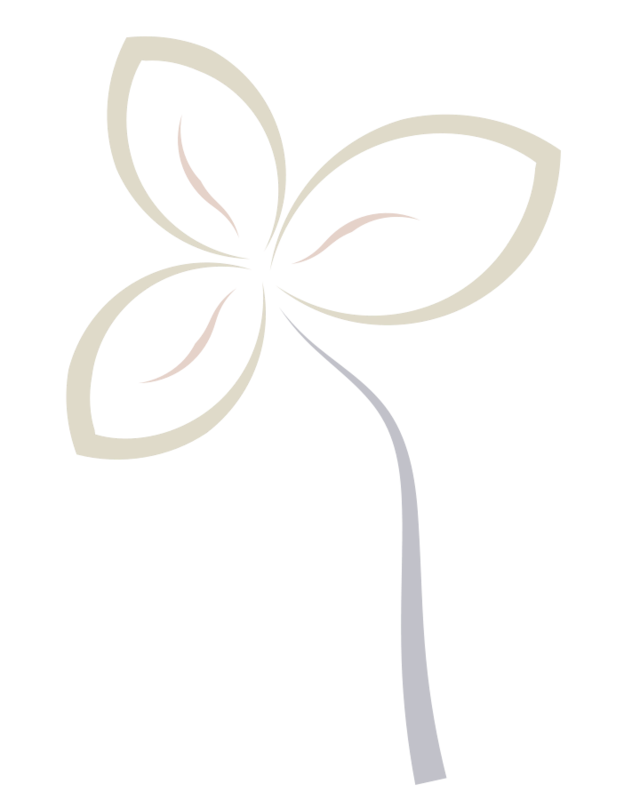 Change-over day: only Monday for June, July, August & September and all days of the week for May and October. 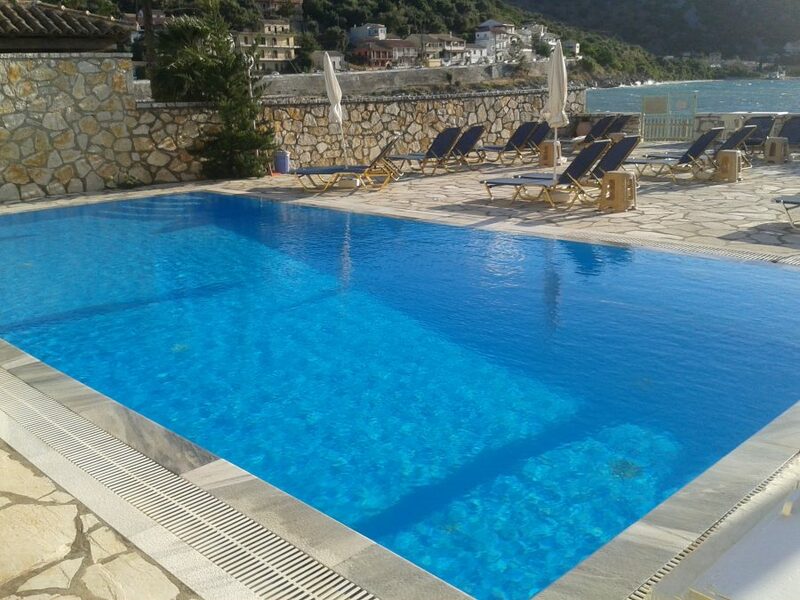 If you don’t wish to be that close to a pool and prefer a more traditional environment surrounded by beautiful nature, then maybe you should also have a look at the charming Pagona House, the second guest House of Theofilos Studios & Apartments which is located just a few metres away.